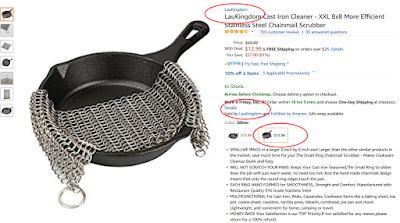 Grab this Cast Iron Cleaner for ONLY $1 with code from gleam at bottom of blog post. SMALLWE RINGS in a larger 8 inch by 8 inch size! Larger than the other similar products in the market, save much time for you! The Small Ring Chainmail Scrubber - Makes Cookware Cleanup Quick and Easy. WILL NOT SCRATCH YOUR PANS. Keeps Your Cast Iron Seasoned,The Small Ring Scrubber does the job with just warm water, no need too hot. 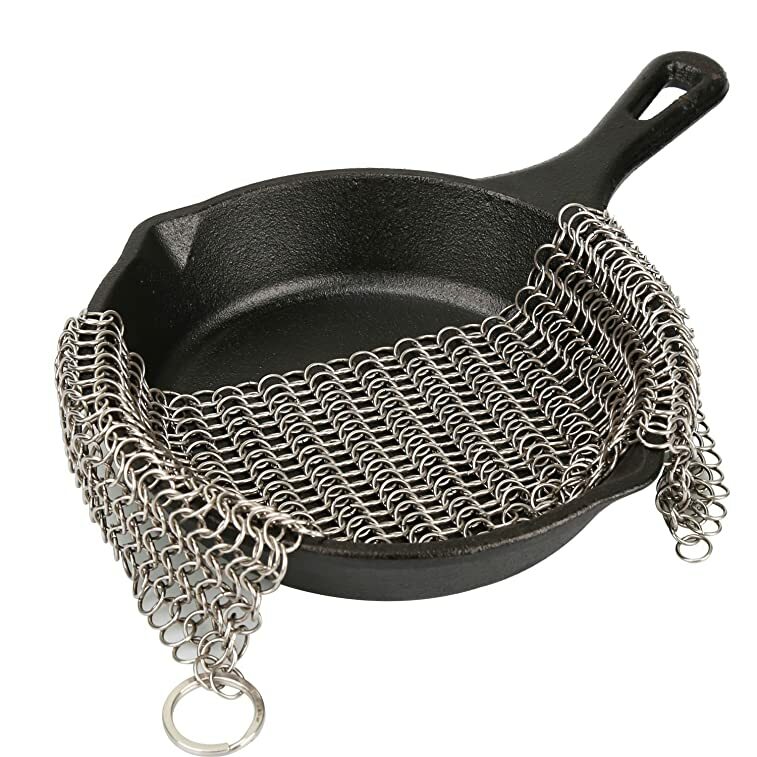 And the hand made chainmail design means that only the round ring edges touch the pan. 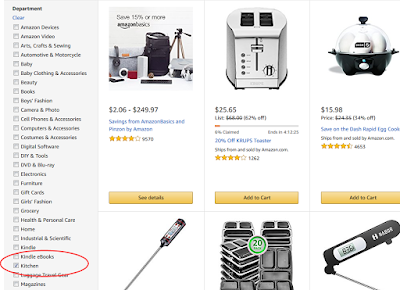 MULTIFUNCTIONAL For Cast Iron, Woks, Casseroles, Cookware items like a baking sheet, tea pot, cookie sheet, cauldron, tortilla press, hibachi, cornbread, pie pan and more! Lightweight, and convenient for home, camping or travel. 4. GO to www.amazon.com and click 12 days of deals(see pic below) Select "Kitchen" Category go to page 6 and find the product.